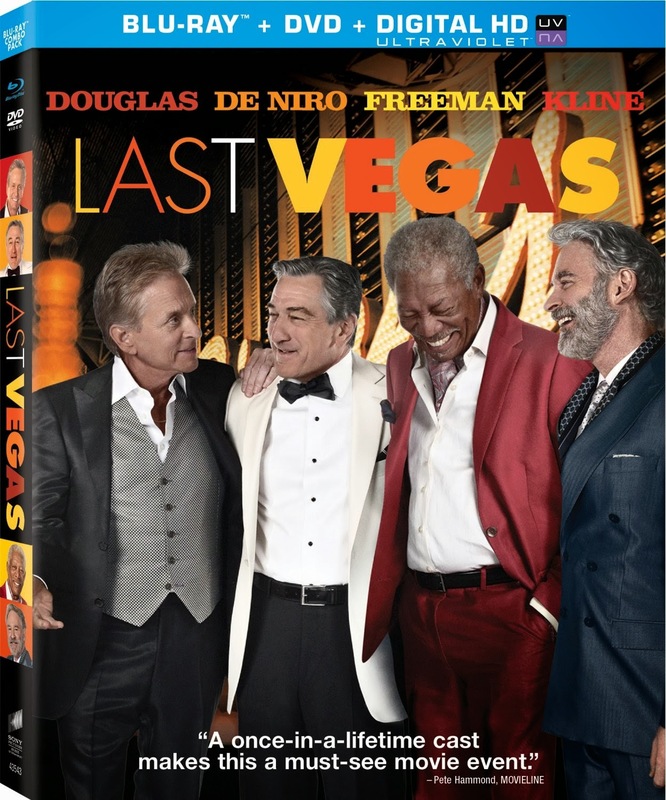 Imagine The Hangover as a fantasy rather than a nightmare, replace the young cast with an impressive ensemble of actors with credits far too impressive to be sullied by this tripe, and you will have Last Vegas in a nutshell. This film may have been passable with a less impressive cast, but the expectations are raised too high with this ensemble and even the performances of their careers would not have been able to save Dan Fogelman’s predictable screenplay. As is always the reason for getting an ensemble cast to Las Vegas, an unexpected engagement leads to a last-minute bachelor party in Sin City with four lifelong friends. Billy (Michael Douglas) proposes to his extremely young girlfriend as a response to the death of a mentor, and his childhood friends Archie (Morgan Freeman) and Sam (Kevin Kline) insist on a bachelor party for a break from their own lives. Archie tires of his son’s controlling demeanor after surviving a stroke, and Sam needs an escape from the monotony of his happy life with his wife. They trick their recently widowed friend, Paddy (Robert De Niro), into joining them by lying about the reason. Paddy and Billy have a history of falling in love with the same women, and this led to a falling out between them that will be predictably resolved during the bachelor weekend. Though the predictable nature of the narrative is certainly an issue, the bigger problem is how unbelievable all of the conflict is. The disagreement between Paddy and Billy is petty, and that is the height of any conflict within the plot. The rest of the film is dedicated to putting these aged actors in situations where they can crack jokes about each other’s age while proving that they are forever young. Gambling leads to a big win, an altercation with young guys at a dance club ends up with them pretending to be mobsters, and their suite hosts a party that is so big that even 50 Cent gets turned away. Nearly every development in the film’s story is likely to inspire eye-rolling, even when the old-age jokes are occasionally funny. The Blu-ray release includes a filmmaker commentary with Jon Turteltaub, who has built too much of his recent filmography on safe studio duds such as this. There are also three featurettes, all of which seem to be addressing the same thing; the four actors in the lead roles. With “It’s Going to be Legendary,” “Four Legends,” and “The Flatbush Four,” even the titling of the featurettes lack originality.